Good advice and good service – what does this look like? Elder abuse and elder estate administration - what is the solicitor’s obligation? Dealing with urgent instructions - what steps do you need to take? Questions of testamentary capacity - What are the implications for lawyers? Reasonable counselling – what does it involve? Jacqui is the principal solicitor and director of Theobald Lawyers Pty Ltd, having bought the firm from Rod Theobald in Nagambie in 2012. She has a Bachelor of Laws, Bachelor of Accounting, Advanced Diploma in Taxation Law, Graduate Certificate in Applied Law (In House), and a Masters in Law majoring in Wills and Estates. Jacqui became a Law Institute Accredited Specialist in Wills and Estates in 2016. 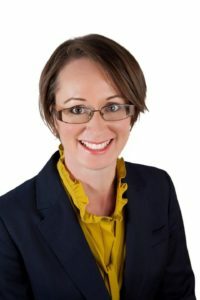 She started her legal career in Seymour in 2007, and after working in all areas of practice for 3 years, she moved to Wagga Wagga where she primarily practised in Family Law. After Wagga Wagga, she then worked for 2 years in Sydney as in-house counsel in a large recycling company, practising mainly in compliance and property law. Jacqui now practises primarily in the area of Estate and Succession Planning, along with Property Law, and Business and Commercial transactions.